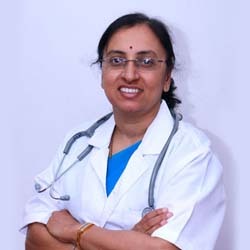 A Renowned Practitioner with rich Experience of 18 years in Obstetrics & Gynecology. Her Journey of Success is arrived towards handling normal Pregnancies uneventfully,high risk pregnancies with utmost care, difficult gynec surgeries and minimal invasive surgeries . Her care and companion towards her patients has made her reach this name and fame. I am very much happy and feel so grateful to Dr. Nagarathna for rendering me the best care. She comforted me with all the support. Whole pregnancy care was great. The nurses and other staff were kind and friendly. A brand like Apollo is associated with excellence, and I was delighted to receive excellence in the form of my doctors, nurses, support staff and everyone else in Cradle. Special thanks to my doctor, Nagarthna, and good luck to everyone at the hospital. The medical team at Apollo Cradle is very good, particularly my doctor, Nagarthna. I was very happy with housekeeping team, as they paid a lot of attention to the hygiene in my room. Gayathri especially from housekeeping was really good. Very nice teams of all sisters in delivery room. Had it not been the team in LD, would not have been possible for me to deliver normal. Overall satisfied with the services, care and advises. My experience with Apollo Cradle was very good from Day 1 of confirming my pregnancy to the last day of delivering my baby. Dr. Nagarathna was very professional, knowledgeable and calm from Day 1. She guided me with care and concern. We were blessed with a healthy baby boy weighing 3.059 kgs via C- section. My first child was born via C- section hence my second child was also delivered via C-section. I was very impressed with the post –delivery services of Apollo. Specially would like to thank the physiotherapist Dr. Shagufta. Her guidance, care, experience, knowledge and concern helped me get back on my feet within day 2 of my C- section operation. She showed and demonstrated tips on how to stand, sit etc which were very very helpful. The nurse staff were all very courteous, responsible and kind to us during our stay here. They were all friendly which gave a personal touch. Once again special thanks to Dr.Nagarathna for delivering our bundle of joy and Dr. Shagufta for helping me get back on my feet within Day 2 of my C-Section operation. Thank you Apollo Cradle. We had a pleasant and memorable experience. Attendees were very good. Thanks. Especially one at Cradle very understanding and supportive. Night nurses were very understanding, supportive and attentive. Great experience at Apollo Cradle especially with Dr Nagarathna, Very courteous staff , special thanks nurses care esp. Rija Mariya, Sheba, Kalavati(aaya). We have observed that each and everything is maintained well. Like the way doctors care about patients and so many good inputs from different doctors and also while entering the hospital front office team they treat like friends always with smiling face with their busy schedule also. About nurse team, we have seen good nurses (all the shifts) and their good support like if we dial/ call more than 50 times also they are visiting / attending within a minute with smiling face. We have received the healthy food from canteen team on time. Housekeeping team they are supported a lot, like family members. We are specifying the names also like Mrs. Manjula, Bhanu, Anjali and Velankini and Dr. Nagarathna Once again thanks for Apollo Cradle, Koramangala team. Great job. Keep it up.